CPG Aeronautics.... » Big Red II finally takes to the sky! Big Red II finally takes to the sky! 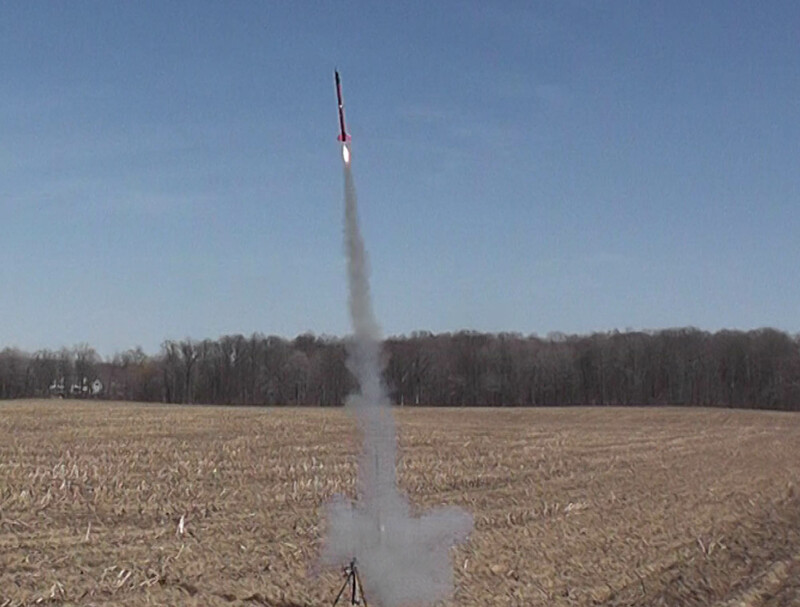 Aurora X5-03 booster “Big Red II” took to the sky in two amazing flights. The maiden flight on an Aerotech E-18 (5) (Aurora mission AU-12) was flawless. 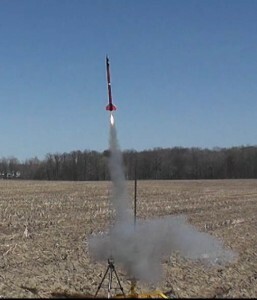 Winds were above 10 MPH, so the launch angle was quite a ways from vertical. 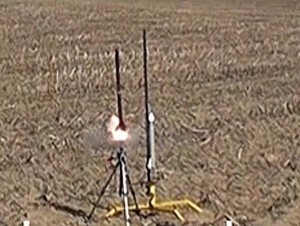 A slight bit of “rod whip” from the weight of the rocket caused a slight tail-end wiggle when leaving the pad, but Big Red II recovered immediately, and flew straight and true. Flight #2 (mission AU-13) was just as spectacular. 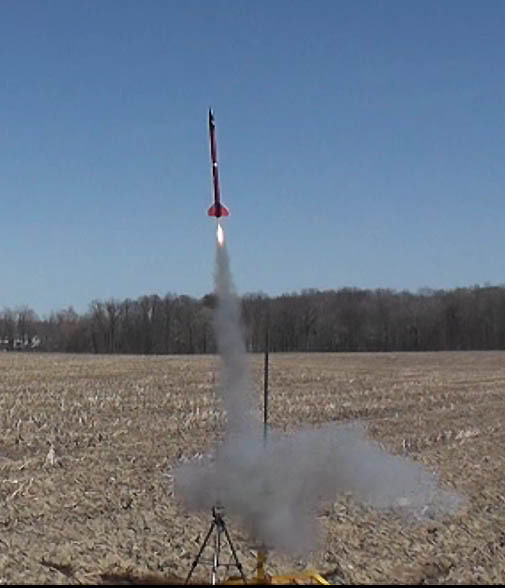 Launch angle was a little closer to straight, and Big Red II screamed skyward to 1292 feet on an Aerotech F-24 (5). 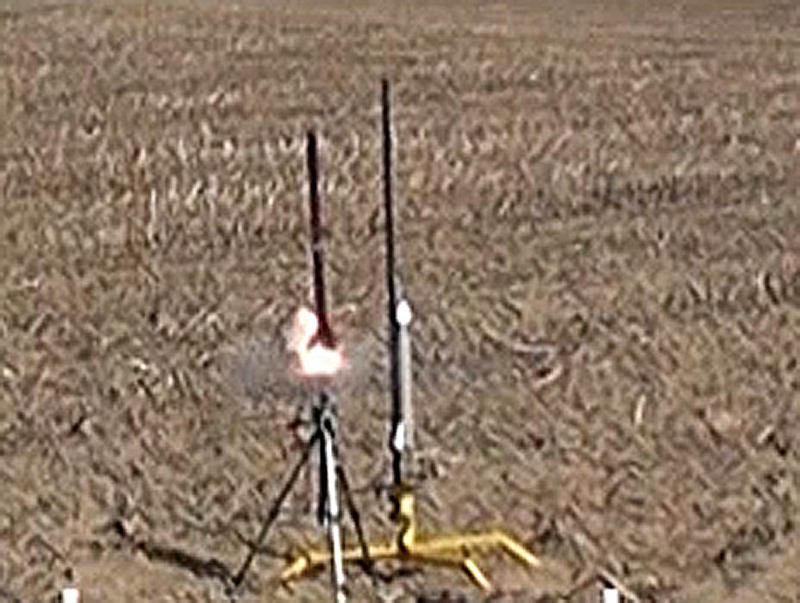 On board camera malfunctioned on this flight, so we have no on board video of that launch. Post flight inspections show the booster and other sections of the rocket in great shape. A little bit of soot on the fins from the flames bouncing up at the rocket from the launch pad blast deflector on flight #2 was the only sign of wear and tear this time around. The ejection baffle system and flight surfaces all look good. 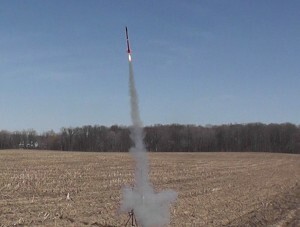 Next scheduled launch for Big Red II is May 1st, 2011 in Amherst, OH. Firefly’s next mission will be April 30th, and will also be in Amherst. This mission will test the electronic parachute deployment system on an Aerotech F35 motor.